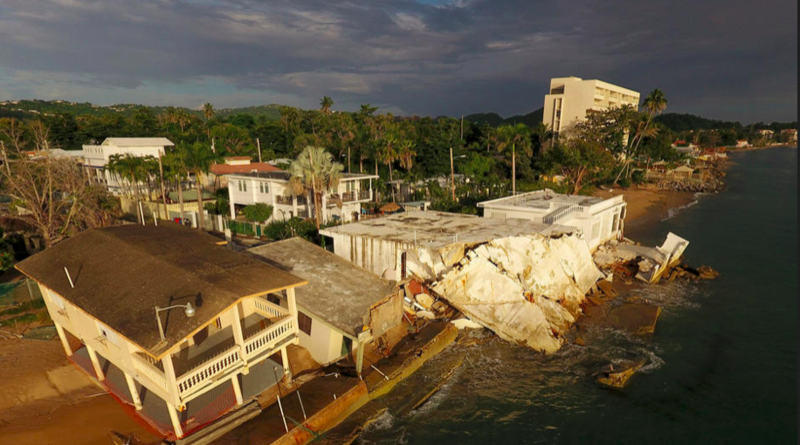 Despite the passage of the 1-year anniversary since Hurricane Maria raged through the Caribbean, it’s not hard to find signs of the damage that Maria left behind in Puerto Rico. Physical damage to buildings, infrastructure and the coastline are still obvious blights. Rincón, Puerto Rico. photo taken on September 6, 2018 by Ricardo Ramirez Buxeda/Orlando Sentinel. Photo Gallery available here. And while electricity and most other basic services have been restored to most of the island, the dependability of those services remain unstable as the people in Puerto Rico continue to deal with intermittent blackouts and unexpected service failures for cell phones, internet and even water supply and delivery. This slow recovery is certainly having a huge impact on the psyche of the people still dealing with these post-storm conditions. After the storm hit, people were relying on mostly untested sources of water to meet their bathing, drinking and household needs, and the Rincón Chapter was able to adjust their beach water testing methodology to provide basic information on the safety of several heavily-used, community sources of freshwater. Chapter volunteers also reported visible breaks in drinking water and sewage lines to officials while out collecting water samples and assessing damage in the coastal zone. 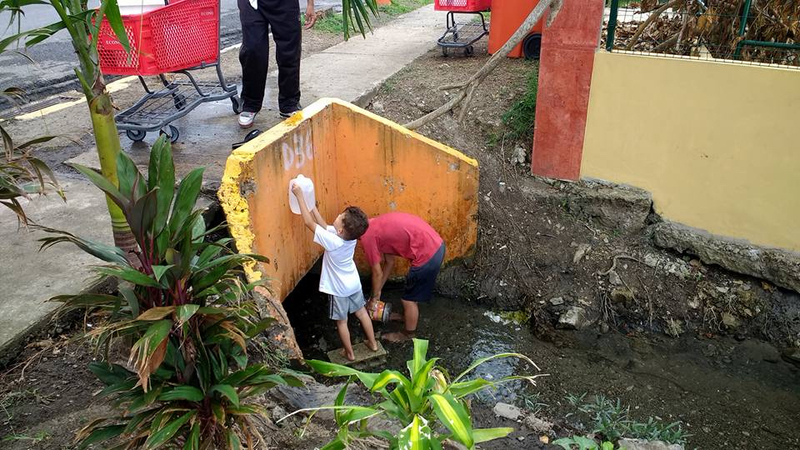 A boy helps his family collect water from a freshwater spring, Ojo de Agua, in the center of town. Read more about Surfrider’s efforts to provide critical public health and water safety information for local communities on PRI.org, or listen to Steve explain their approach himself in this short video by the Orlando Sentinel. Meanwhile the Chapter's Blue Water Task Force program continues to provide information to beach-goers on where it is safe to surf and swim at the coast, while Surfrider volunteers also continue to visit rural, inland villages in the mountains to help them test the off-grid, informal source of water their communities rely on for household water – And the streams and rivers they love to swim and play in! The Chapter is also training different groups to do some of the testing themselves. Major thanks go out to the chapter’s local partners in Rincón, Costa Salud Community Health Center and RBC Maria Relief, who helped make the quick restart of their water testing program possible and the amazing volunteers – Jim Crotty, Terry Norman, Alexis Henriquez and Steve Tamar – who although they were dealing with their own personal post-storm issues at home went the extra mile to volunteer their time to help others. It was truly a heroic effort. Stay tuned to local events held by the chapter on their Facebook page. And watch this great short film to hear our Surfrider volunteers in Rincón describe what life was like after Hurricane Maria passed Puerto Rico and how they used their Blue Water Task Force program to empower local communities to protect their own health as government agencies struggled to meet the population’s most basic needs.